Getting outfitted properly is quite an undertaking! Here are some helpful retailers and also one fantastic forum for trading or selling used gear! An incredible resource- the Gear Swap section is the most frequented listings of boats and gear on the internet. Do yourself a favor and keep an eye on this site! Also many articles, reviews, forums for asking questions, videos and news. Rock/Creek is an independent specialty outdoor retailer based in Chattanooga, Tennessee with over 20 years of brick and mortar experience. With a dedicated staff of outdoor enthusiasts and gear experts, Rock Creek offers only the very best outdoor apparel and equipment from top brands like Marmot, Patagonia, Arc’Teryx, The North Face, Chaco Sandals, Montrail, and others to ensure that customers are comfortable and safe in the outdoors. Whether you hike, paddle, camp, or just love to adventure in “the outside world” we have not only the gear and equipment you need, but also the experience, expertise and knowledge you deserve. Visit our Gear Page to see just a sample of what we offer. Have questions? Be sure to give us a call or drop by our Dawsonville or Columbus locations. We’re happy to help! We carry only the finest kayak gear and accessories, and only represent companies that stand behind their products. Feel free to contact us with any questions that you may have regarding our products and service. We offer the largest selection of whitewater kayaks, touring, and recreational kayaks, as well as kayak accessories, stand up paddle boards equipment and gear available anywhere. Founded over 20 years ago, ACK is your Kayak, Camping and Outdoor Adventure Gear Outfitter based out of the central Texas area. We purchased the Austin, Texas store location back in 2005 and have since opened up stores in San Marcos, Houston, Spring and of course, the Internet. Having started with only 20 kayak/canoe models and 100 accessories, we have expanded to having over 300 kayaks/canoes and over 3,500 accessories (as we type this). Despite the phenomenal growth, we haven’t lost touch with what matters most, you, our customer. The ACK team is and always will be 100% committed to your complete and total satisfaction and we promise to continue offering the type of service, selection and expertise you’ve come to expect from us. It all started on the Nantahala in 1972, with three friends who knew there was something special about this place, and something magical about the time spent in the river, in the hills and on the trails. In the decades since then, the river has seen it all: millions of visitors and millions of smiles. Every year since its founding, NOC has strived to share the wonders of this place, and all the places we raft, hike, pedal and paddle. 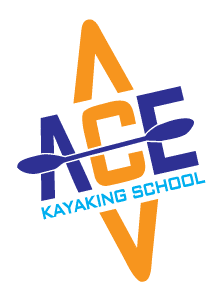 Whitewater Kayaking Gear, Kayak Gear, Whitewater Paddles, Whitewater helmets, Whitewater Spray Skirts, Drysuits, Drytops, Drypants, Kayaks, Kayaking Accessories, Paddling Gear, Whitewater Gear, Kayaking Helmets, Shred Ready, WRSI, FNA, Sweet Helmets, Stholquist, Level Six, Extrasport, AT Paddles, Harmony, Harmony, Seals, Seals Sprayskirts, Salamander Gear, Pelican, Immersion Research, G-Flex, Seattle Sports, GAIA Sports, Kokatat, Merrell NikWax, Whitewater Kayak, Rescue Throw Bag, Kayaking Drytops, FNA Helmets, Kayak Paddles ,Minicell, Kayak PFD’S, Canoe PFD’s, Sweet Helmets, Whitewater Spray Skirts, WhiteWater Gear,Canoe Shop,Kayak Shop,Canoeing Shop,Kayaking Shop, Kayaking Apparel, Kayak Gear Select Paddles, Core Paddles, H20 Paddles,Fluid Kayaks, Big Dog Kayaks,Beginning kayaking, Whitewater Kayaking Accessories, Whitewater Canoe,.White Water Canoe,kayak superstore,kayak river, choose a kayak,kayaks for sale,kayaks and canoe sales,kayaks accessories,kayak tow line,rescue throw bags, flotation bag,kayaking apparel,kayaking gear,pogies .